Next door to Regional Missouri Bank. Proud to serve the areas of Marceline MO, Brookfield MO, Salisbury MO, Macon MO, Huntsville MO, La Plata MO, Chillicothe MO, Moberly MO, Glasgow MO, Slater MO. Call or email me today for a personalized insurance review. 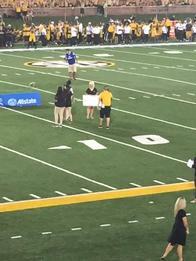 One lucky fan was given the chance to attempt a 25-yard field goal at halftime of a Missouri football game, with me on hand to represent Allstate and provide support. Unfortunately the kick was missed, but each of us will remember the great experience of being on the field for this special event. 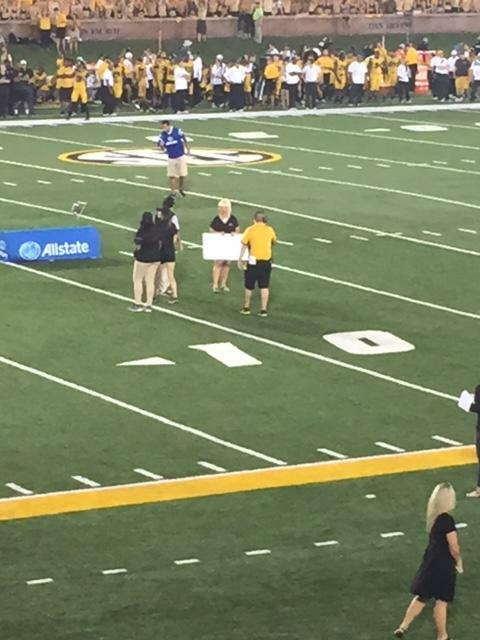 Allstate sponsors the field goal nets at more than 80 college football stadiums around the country. 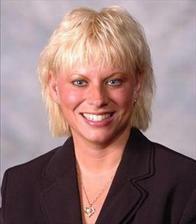 Cynthia Black Rodgers is insurance licensed in the state(s) of Kansas and Missouri. If you do not reside in the state(s) of Kansas or Missouri, please go to the Find an Agent section on allstate.com to search for another Allstate Agent or Personal Financial Representative.